Paul Vincent is the founder and past Director of The Child Welfare Policy and Practice Group (CWG) in 1996. Mr. Vincent led the organization for 23 years, having retired February 1, 2019. His commitment to families and his expertise are well-known across the country. He led CWG's national participation in class action litigation, and was court monitor in Utah through its exit from court oversight. He will continue to serve as Chair of the Katie A. Advisory Panel in California, and in South Carolina, where he remains Co-monitor in the Michelle H. Settlement Agreement. In addition, he has been an advocate for the front-line practice perspective in various national policy forums and foundation initiatives. 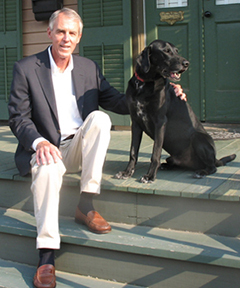 Prior to the creation of The Child Welfare Group, Mr. Vincent was the director of Alabama’s child welfare system during a period of class action litigation, from 1989 to 1996. During that period Alabama emerged as a national leader in demonstrating improved outcomes through implementation of a strength and needs–based, individualized model of practice. Mr. Vincent and staff, along with the federal court monitor, also developed the Qualitative Service Review process during the same period. He was awarded NAPCWA's Annual Award for Excellence in Child Welfare Administration in 1994. CWG grew out of a child welfare class action settlement agreement in Alabama in the 1990s, R.C. v. Hornsby, involving a case filed by the Washington, DC based Bazelon Center for Mental Health Law, The Alabama Disabilities Advocacy Program, the State ACLU and the Southern Poverty Law Center. At that time, Paul Vincent, Director of CWG was the new director of Alabama′s child welfare system and a number of current CWG staff and consultants were in key leadership roles supporting implementation of the R.C. reforms. Experience in Alabama reform continues to shape CWG′s technical assistance today. In that case, titled after the named class member, R.C., the original plaintiff class was composed of children in the child welfare system with mental health needs but later grew to include almost all of the children in the system. The settlement agreement contained a set of practice principles which the child welfare system committed to fully implement in all of its counties over a multi-year period. Implementation of the principles was intended to create a child welfare system of care. System of Care and Child and Adolescent Service System Program (CASSP) concepts played a significant role in the provisions of the settlement as did the individualized planning principles of the Individualized Educational Programs (IEP) process, engagement approaches from intensive family preservation services and the person-centered services philosophy of developmental disabilities practice. Implementation of the principles had a transformative positive impact on practice and outcomes for the children and families served. Class members and their families shall have access to a comprehensive array of services, including intensive home-based services, designed to enable class members to live with their families and address their physical, emotional, social and educational needs. Class members, parents and foster parents shall be encouraged and assisted to articulate their own strengths and needs, the goals they are seeking for themselves and what services they think are required to meet these goals. Class members, their parents and foster parents shall be involved in the planning and delivery of services. The ″system of care″ shall ensure that the services identified in individualized service plans are accessed and delivered in a coordinated and therapeutic manner. It became apparent to the system′s child welfare leadership that to fully implement these (and other) principles in all sixty-seven counties, it would require the creation of a new practice culture which existing child welfare approaches could not produce. These principles set the expectation for a high degree of family involvement in planning and decision-making, creation of strength and needs-based, individualized plans, highly coordinated service delivery and services matched to each family′s unique needs. Although it was not described as such in the settlement, the principles formed an early version of a practice model. Staff would need (and ultimately received) training and coaching in all of the practice areas to include engaging and building trusting relationships with families, strength and needs-based assessment and individualized planning, to achieve fidelity with the principles. But because of the expectations for family inclusion and voice, comprehensive assessment, service coordination and individualized planning, it seemed unlikely that the caseworker alone could achieve these objectives. System representatives had visited sites with innovative practices. After seeing how Wraparound child and family team meetings included families, individualized planning and coordinated a high level of services, that concept, with some modifications for the settlement environment, seemed to offer guidance for a process that would integrate application of the principles. This new meeting approach, called at the time Individualized Service Planning (ISP) Meetings, was a locus for improved practice throughout the reform. This team meeting experience was the foundation of CWG′s current teaming approach called Family Team Conferencing. Even in the early, more experimental period of the reform, implementation of the principles, with family ISP meetings as a foundation, produced significant improvements in outcomes. Fewer children entered care, lengths of stay declined, reunifications increased, placement disruptions were reduced and the use of congregate care diminished. Significantly, child safety was also strengthened as family engagement, teaming and individualized assessment and planning provided for a more accurate and effective response to risk. In addition to the new team meeting approach, other innovations were developed during R.C, implementation, including the Qualitative Service Review (QSR) process now in use in nearly twenty states. The QSR process is a practice improvement approach designed to assess current child and family outcomes and system performance in a representative sample of cases by gathering information directly through interviews with families, children and service team members. Later in the 1990′s Paul and other advocates formed The Child Welfare Policy and Practice Group, a nonprofit technical assistance organization, committed to improving outcomes by strengthening frontline practice. Since that time CWG has been involved in helping dozens of systems implement similar principle-driven reforms both as consultants and, in the case of class action settlement agreements, court monitoring and advisory roles in New York City, Utah, Tennessee and Los Angeles. What is a Practice Framework? goals of safety, stability, permanency and wellbeing. for something intended to be more fully developed at a later stage. such as agency leadership and management and or relationships with the community. For more information about our practice model, click to download the latest version of Adopting a Child Welfare Practice Framework. 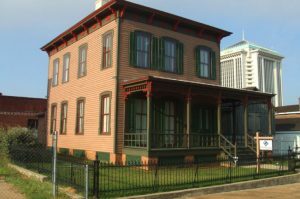 The Child Welfare Group is located in Old Alabama Town, an outdoor history museum managed by the non-profit Landmarks Foundation for the City of Montgomery. Included in our neighborhood are sensitively restored architectural treasures mixed with rehabilitated historic office buildings and commercial structures. The 19th Century village is open year-round and its mission is to preserve, interpret and present Central Alabama's architecture, history and culture.